Dodocool has a Cyber Monday 2018 deal for you which you’ll regret if you miss it out completely: a 45W capable USB Power Delivery power bank. We’ll see the odd deal here and there on Cyber Monday but it’s our mission to bring you the best out there and this one from Dodocool is no exception. 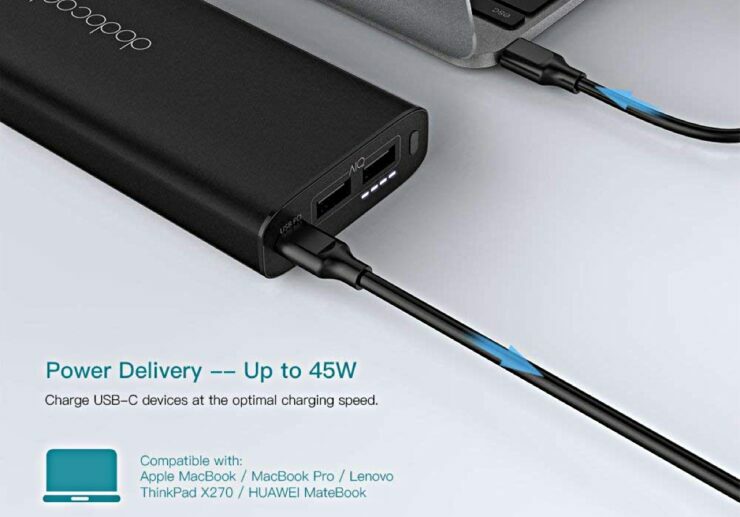 It’s a 45W power bank that has a USB-C port along with two USB-A ports. That USB-C port is Power Delivery enabled and can charge a MacBook at up to 45W of speed. But that’s not all, if you happen to have an iPad or iPhone, that very same USB-C port will juice you up at full speed. Things are rounded off with those two USB-A ports that can pump out 12W of power, which is decent enough to charge an action camera, a friend’s phone, a tablet or even something else. We highly recommend that you go ahead with this deal as it’s one of the best out there. 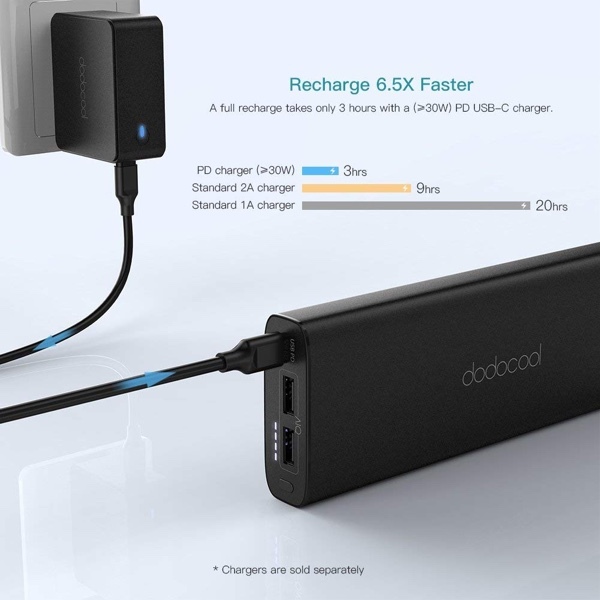 Click the link below, and make sure you enter the discount code at checkout to grab your scoop of power bank from Dodocool.